Our itinerary for your third day in Hong Kong is more of a choose-your-own-adventure itinerary than the first two days, with a variety of activities to choose from that will let you see different sides of Hong Kong. To plan your first and second days in Hong Kong, make sure to check out our One Day in Hong Kong and Two Days in Hong Kong itineraries, which cover the best things to do during your first 24 and 48 hours in the city. We’ve split our day three itinerary into four different options, each of which shows a different side of Hong Kong. Each option will take up the better part of the day — if you’re in Hong Kong for an extra day, you can easily fill it with an extra choice from the list below. Hong Kong Disneyland is located on Lantau Island, a quick MTR ride away from the centre of the city. Although it’s smaller than most other Disney parks, Hong Kong Disney is still worth a visit if you’re staying in Hong Kong with young children. Getting to Disneyland from anywhere in Hong Kong is easy. Take the MTR Tung Chung line to Sunny Bay station, then transfer to the Disneyland Resort Line (complete with Mickey Mouse windows) to get to the park. Disneyland is open daily from 10:30am until 8:30pm, making it easy to visit any time of day. If you’re in Hong Kong on a weekend or public holiday, try to arrive as early as possible to avoid the crowds. Teenagers probably won’t find much of interest inside Hong Kong Disneyland (it’s smaller than other Disney parks, and doesn’t have as many roller coasters or other fast ride), so this is best as a day trip option if you’re visiting Hong Kong with kids under 12 years of age. If you’re visiting with older kids or teenagers and feel like spending the day at a more exciting theme park, you’ll prefer the option below. Located on the southern side of Hong Kong Island, Ocean Park is a theme park, marine life park and aquarium that’s much more popular with locals than Hong Kong Disneyland. Asia’s largest theme park, Ocean Park has a huge range of attractions aimed at children, teens and adults. If you’re looking for a more “grown up” theme park than Disneyland, this is the place you’ll want to come. Ocean Park has a large and diverse range of attractions. There are all the usual roller coasters, river rides and other thrills in the main theme park, plus a small zoo, marine mammal breeding and research centre, ocean theatre and more to see. 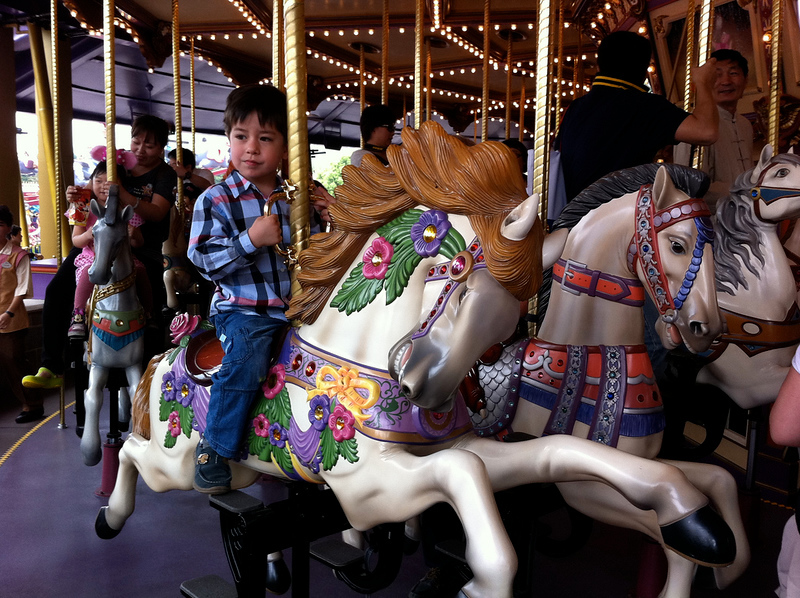 There are also a good variety of rides at Ocean Park for young kids, making it a good alternative to Disneyland if your children have visited a Disney park before. A full list of rides at Ocean Park can be found on the park’s website. Since Ocean Park is on Hong Kong Island, it’s quick and easy to access. Take the South Island MTR line from Admiralty to Ocean Park station and you’ll be right at the entrance to the park. 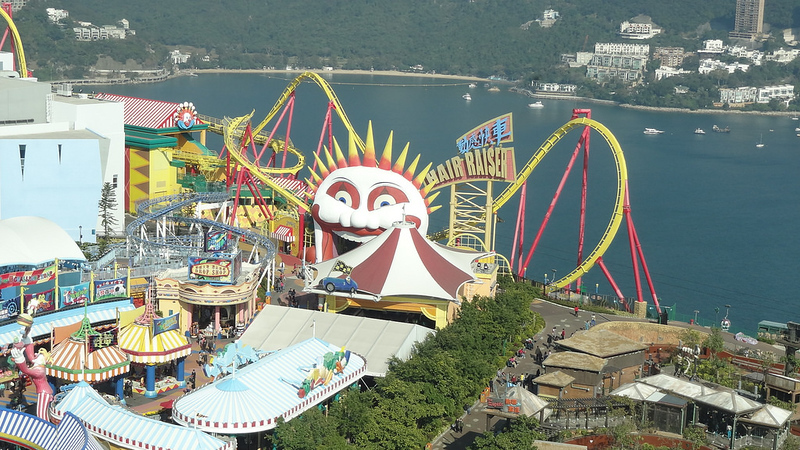 Like other attractions in Hong Kong, Ocean Park gets very crowded on the weekends and public holidays. If you’re visiting on the weekend, get there early (the park opens at 10am and shuts at 7pm, or 9pm on weekends) to avoid the midday and afternoon crowds at ticketing. 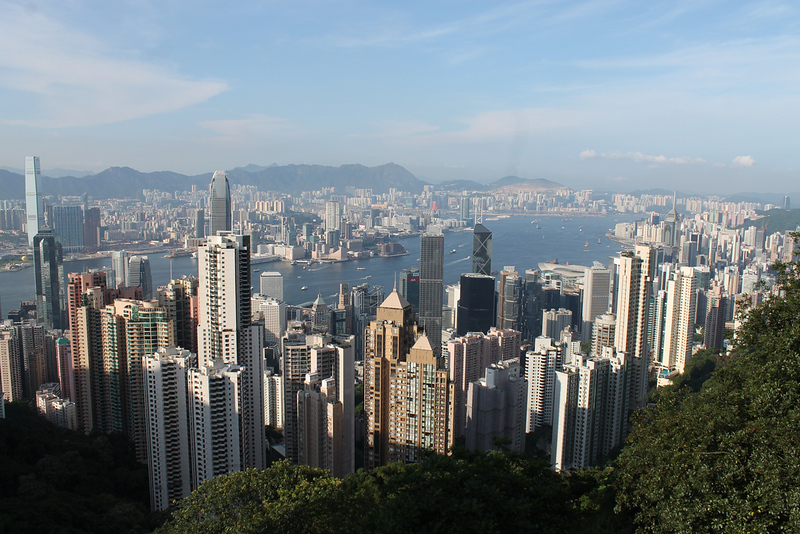 Many people are surprised to learn that Hong Kong is more than just a bustling city. While Hong Kong might be best known for its incredible skyline, the less developed parts of the territory are home to beautiful mountainous scenery and fantastic hiking trails. 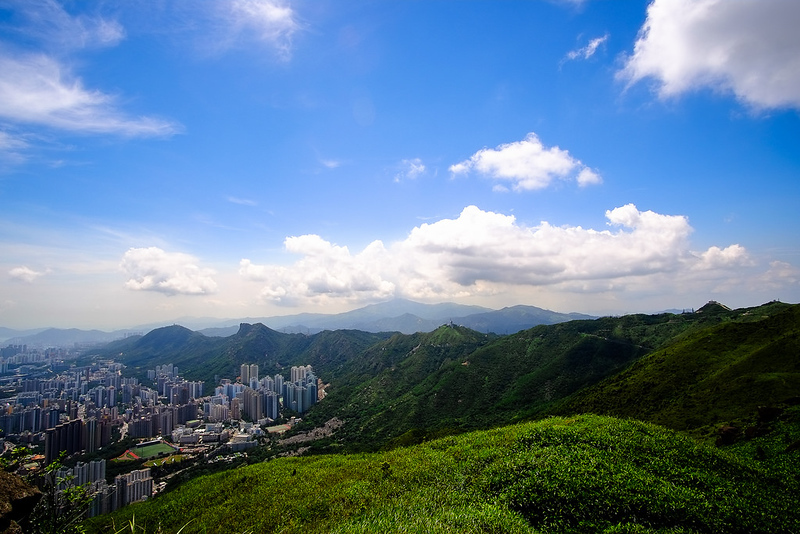 If you’re an outdoors enthusiast, you’ll love hiking through Hong Kong’s rugged and beautiful countryside. One of the easiest hiking trails to access from the city is the Sai Kung Peninsula Hike, which covers approximately 14 kilometres in Sai Kung East Country Park. Getting to the hiking trail from Hong Kong’s central districts is easy. Take the MTR to Diamond Hill station, then take bus 94 to Pak Tam Chung Station. From the station, it’s a five minute walk on Tai Mong Tsai Road to the beginning of the hike. The Sai Kung Peninsula Hike takes six to seven hours, depending on your speed. The hike itself isn’t particularly demanding or difficult, making it a perfect choice for people of average or above average fitness that want to see some of Hong Kong’s beautiful scenery. 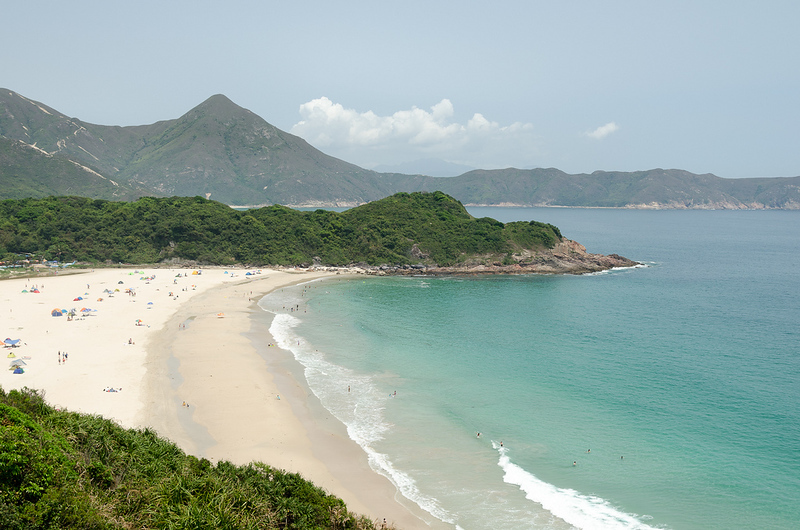 The trail passes by Long Ke Wan, which is one of Hong Kong’s most beautiful beaches. Since the hike takes the better part of a day, you’ll want to pack several meals and several bottles of water before you leave, as well as some sunscreen and insect repellent. Located just south of Hong Kong Island, Lamma Island is a quiet island that’s a great day trip from Hong Kong’s crowded central city. Although it’s only a few minutes from Hong Kong Island, Lamma Island feels like a completely different world. This relaxed, peaceful island is a great place to see the traditional side of Hong Kong without the crowds, traffic and extensive development. Getting to Lamma Island from Hong Kong is quick and simple. The ferry leaves frequently from Central Pier 4 on Hong Kong Island. 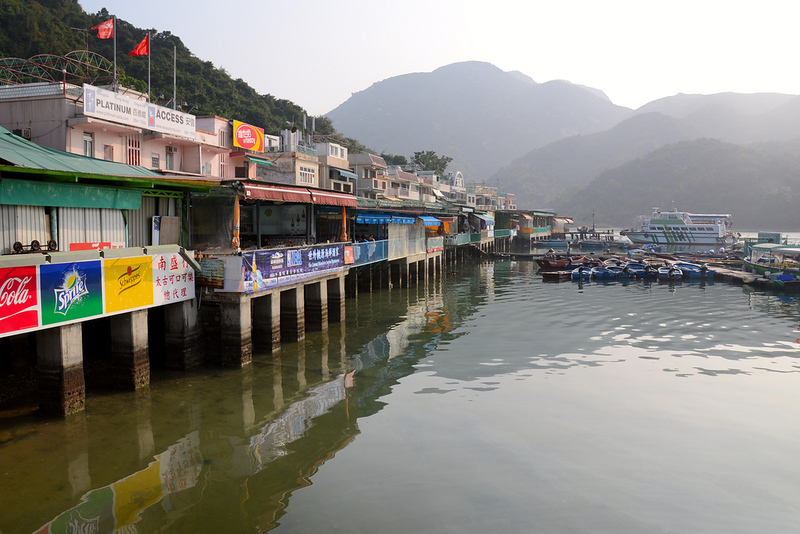 You’ll want to catch the ferry to Yung Shue Wan, which is the main commercial and residential town on Lamma Island. Yung Shue Wan is a small town with a European feel, similar to the type of small town you can find in the south of Italy. You can find a good selection of seafood restaurants near the water, as well as several international restaurants and cafés. Good options for lunch and dinner include Green Cottage, which has an extensive vegetarian menu, as well as Beer & Babble Restaurant, which serves tasty seafood with nice views over the sea. There are also several good beaches on Lamma Island. Hung Shing Yeh Beach is the easiest to access and most developed, with showers, changing rooms and a good selection of restaurants and food stands. If you’re feeling adventurous, you can also hike to Lo So Shing Beach. The path climbs up quite a steep hill and passes several small pavilions, the second of which offers great views. It takes about 15 minutes to reach the beach from the second pavilion at a normal walking speed.